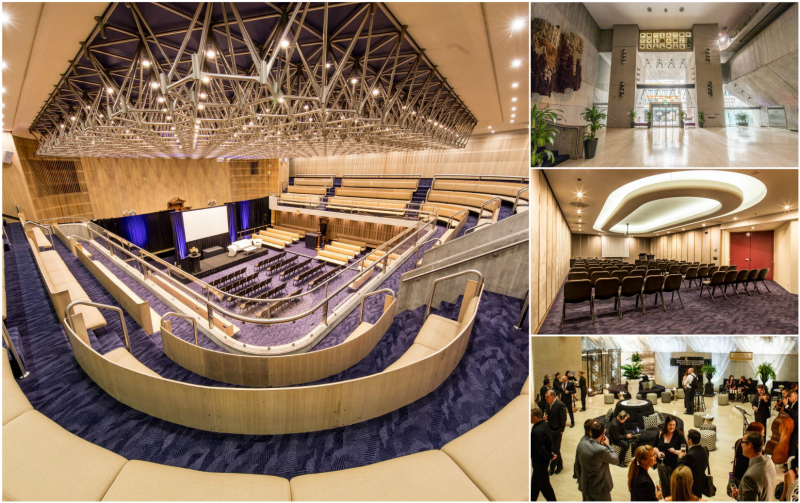 As one of the only purpose-built conference and event centres in Sydney, SMC has always had versatile spaces for up to 2,190 guests across the building, and when the centre reopens in May 2019, there will be 13 contemporary designed multi-purpose spaces for organisers to combine to suit their events. Level 1 is remarkable for majestic spaces that create a memorable impression. The Marble Foyer is an ideal registration hall, exhibition and cocktail space, the Grand Lodge is the perfect plenary for up to 600 guests, and the Banquet Hall can be booked for lunches, dinners, cocktails and awards ceremonies as well as trade shows and exhibitions. Event organisers can also make the most of another 10 rooms across all levels of SMC for concurrent sessions, meetings and break out zones. The SMC Conference & Funtion Centre building is centrally located in the heart of Sydney's Business District on the corner of Goulburn and Castlereagh Streets. It is a short stroll from both Museum and Central stations. Wilson's Parking Goulburn St is diagnoally across from the centre. We are conveniently surrounded by three, four and five star hotels. The details of these hotels can be found by visiting our website. Our internal catering team provide only the freshest and locally sourced foods. We can cater for every need including breakfasts, meeting packages, Gala Dinners and cocktail parties for up to 1000 guests. State-of-the-art technology has been introduced at SMC. All rooms include a screen, flip chart and white board free of charge. We allow clients to use their preferred external AV companies. Complimentary wireless internet in the foyers is provided for all delegates. A Business Centre is provided free of charge where guests can get access to stand alone computers, the internet, printing, photocopying, faxing and stationery. One of the main priorities in SMC’s multi-million dollar renovation has been to upgrade and fully integrate all audio visual and technology systems with no expense spared. 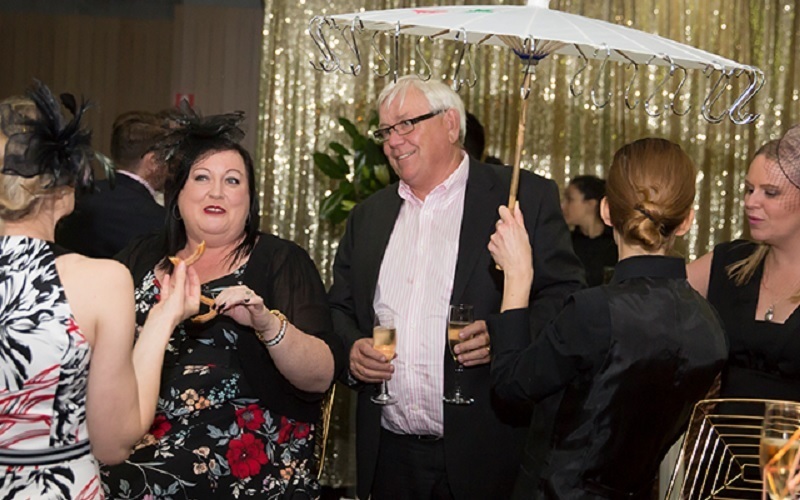 Over the years, the team at SMC has fine-tuned their bookings and event delivery practice to simplify the process so that organisers can breathe easy knowing their events are in the best hands. Excitement is building for May 2019 when SMC is due to re-open, unveiling new look interiors, new technologies and new spaces that complement the centre’s striking monumental architecture. 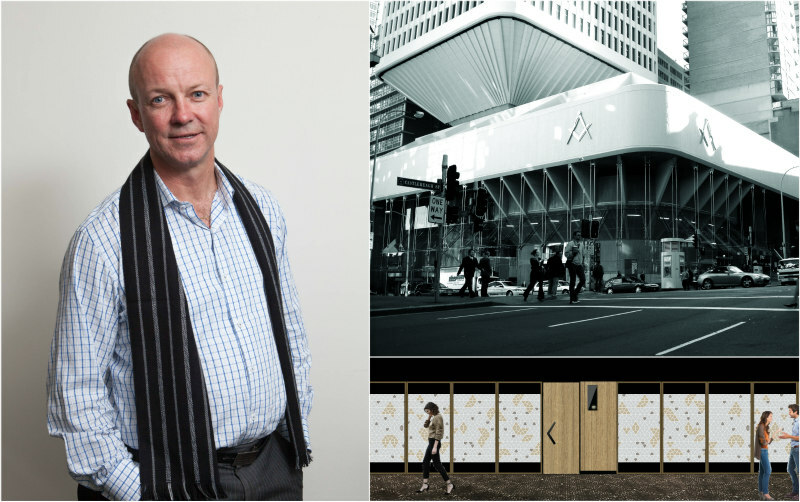 Sydney Masonic Centre – one of Australia’s premier events venues – unveils plans for capital works that amount to the single biggest investment in the centre’s forty-year history. There are five essential factors that combine to make every event a resounding success: location, great spaces and flexibility, reliable technology, catering and delivery.